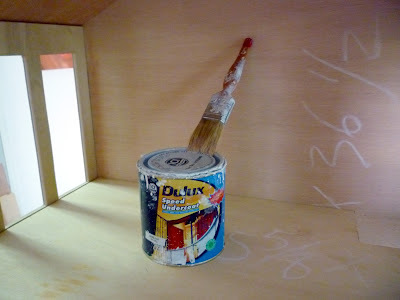 For the first coat of paint, use a prime.undercoat. We are going to use emulsion paint which is water based and needs the wood to be effectively sealed. Paint every surface, exposed or not.